This is it! You are ready to jumpstart your weight loss journey and make permanent changes to your lifestyle that will help you lose the weight and keep it off for good! One of the biggest hurdles individuals face during their weight loss journey is having convenient access to healthy food options. Life is busy and no one has time to spend hours preparing healthy meals. How do you combat this problem? The answer is to prepare and stock your kitchen with the tools to make achieving weight loss and maintaining a healthy lifestyle easy. 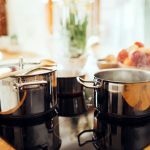 In addition to replacing processed and junk foods with healthier options, it is also important to have the right tools on hand to prepare healthy, fulfilling, and delicious meals. Let’s take a look at 10 essential kitchen gadgets that will set you up for success on your weight loss journey. Weight loss is a matter of science. Your calories consumed must be less than the calories you burn. Most people consume larger than necessary portions of food. Portion control is one of the first hurdles that will need to be conquered. A digital scale in the kitchen is a must to ensure proper portion control. It is hard to guess a food’s weight, by ‘eyeballing’ it. Using a scale to weigh your food will help you prepare the proper size portions of food and accurately keep up with the number of calories you are consuming. Stocking your kitchen with easy to use sets of measuring cups and spoons compliments your kitchen scale, in that measuring your food helps you keep an accurate tally of calories consumed. Every food product has a label that tells the consumer the portion size and nutrient information per serving. You would be amazed at how many calories you will save yourself by taking the time to measure your food. Eating off of smaller plates and bowls is a great way to trick your mind into feeling like you are consuming more food than you actually are. It also reduces the temptation to add more food to the empty space on larger plates. Another little helpful tip is to put away all of the food once you fix your plate so that you are not tempted to go back for seconds. Just the word fryer may make you think that this piece of equipment has no business on this list. Hold that thought. Air Fryers work much like a convection oven and have the ability to cook entire meals with very little oil. Enjoy sweet potato and traditional fries with fewer calories than fries at a restaurant. You can also fry vegetables with ease as well. This offers an alternative to steaming vegetables and allows you to fill up on flavorful, high fiber foods. With an air fryer, you can cook wholesome delicious meals that aren’t saturated in oil. There’s no need to deprive yourself of your favorite fried foods. 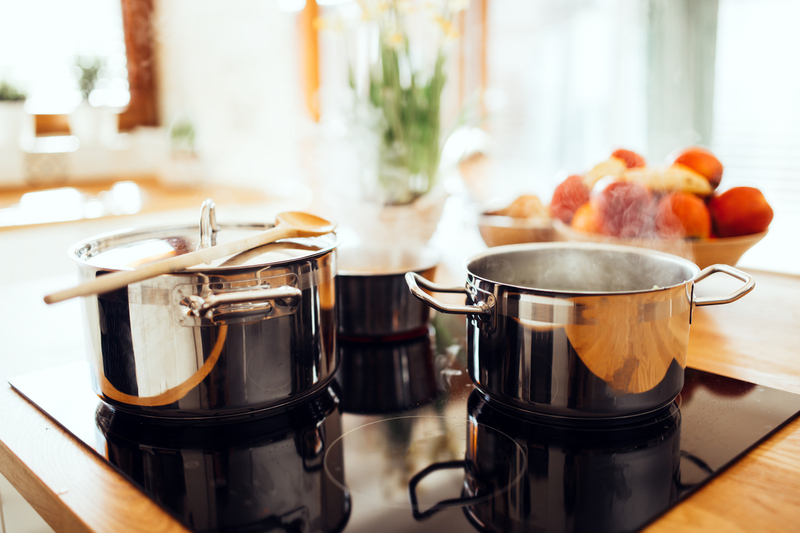 A pressure cooker is versatile and can be used to prep a meal in the morning, leave it all day, and come home to a perfectly cooked dinner. 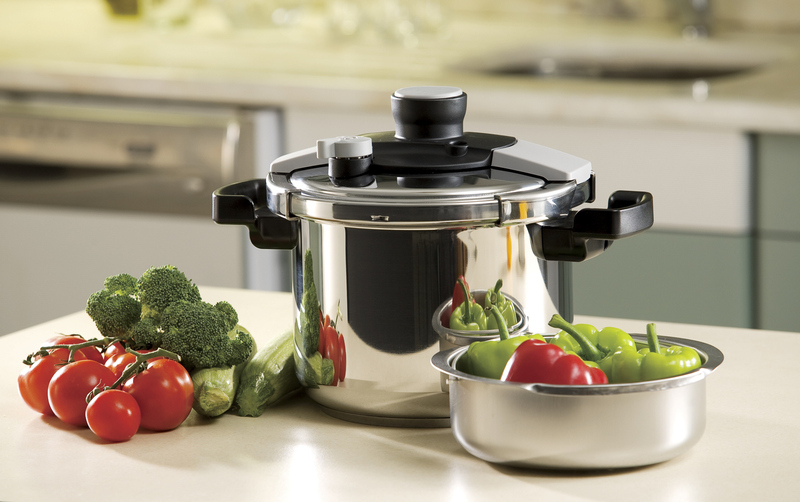 However, a pressure cooker is known for cooking foods like veggies in only 4 to 7 minutes. This is great when you’re in a time crunch and need a meal or snack prepared quickly. With this handy tool in your kitchen, you are more likely to choose healthy food over junk food in a pinch. Food processors have the ability to coarsely or finely chop, blend, and puree foods. This gives you the ability to make healthy smoothies, add fresh vegetables to your dishes, or make a variety of foods from scratch with ease. The use of a food processor is much easier than trying to chop ingredients by hand and saves you a great deal of time. You are much more likely to make healthy, homemade meals if the preparation is simple. With so many things to juggle, life can get hectic and it can be hard to find time to cook a healthy meal, which can lead to eating processed foods full of empty calories. On busy days, you can prepare a healthy meal in the slow cooker, let it cook all day and come home to a delicious, healthy, ready to eat meal. There is an abundance of recipes available for healthy meals, prepared in a slow cooker. You can be sure there will no end to the variety of meals you can cook. A spray bottle in your kitchen may seem a little odd at first, but it is actually great for ensuring that you use olive oil in moderation. While it is true that olive oil is healthy, it is also true that there is such a thing as too much of a good thing. Pouring olive oil on vegetables and other foods can lead to racking up on the calories. However, if you spray your food instead, you will inherently use less olive oil and evenly coat your food. Storage containers have a variety of uses in your kitchen. They are great for storing leftover food so that you do not feel like you have to eat all of it at one time to avoid throwing it in the garbage. You can also use storage containers as a way to portion your food for future meals. For instance, there are containers that have built-in dividers which are perfect for taking your lunch to work or to have on hand when you come home in the evenings. Your weight loss journey begins with having all of the right tools in your kitchen. A healthy lifestyle offers emotional, mental, and physical benefits to help you feel and look your best. The team at Dr. Simonds Metabolics & Weight Loss understand that your weight loss journey is easier with medical expertise and support. That’s just what they offer their clients. Contact us today to help jump-start your weight loss!